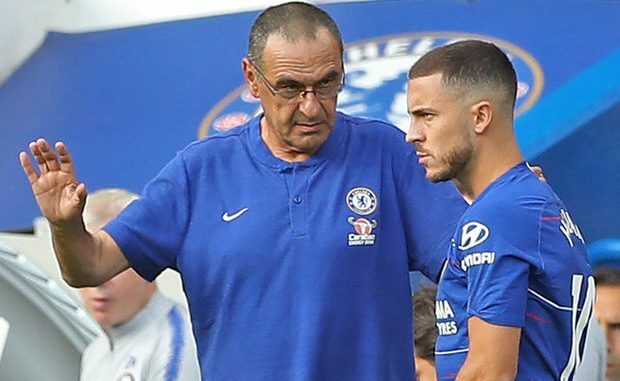 Deadly: Sarri will demolish Cardiff City’s defence if he picks this Chelsea attack – Agree? Chelsea have been impressive this season, with everyone from front to back doing a brilliant job under Maurizio Sarri. Perhaps the most exciting part of their team, however, has been the attack. Over the years, Chelsea have been known as a defensive team. Between Jose Mourinho and Antonio Conte, much of Chelsea’s last few years have been dominated by defensive play, with a focus on counter-attacking rather than ball possession. That’s changed under Maurizio Sarri, though. The Italian has adopted a more offensive system, with a particular focus on pass-and-move style gameplay. With such a focus on offensive play, it’s vital that the Chelsea boss always selects the best players for the task, particularly against defensive teams. Chelsea are set to take on Cardiff City this weekend and given that they will likely sit back and defend, Chelsea need to be on the ball offensively. 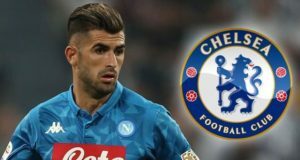 But who should Sarri pick to take the task on? With Mateo Kovacic a likely candidate to take the creative role in the midfield, Maurizio Sarri can rest easily knowing that the players that feature ahead of him will get a ton of service. On the left-hand side, it’s tough to see past Eden Hazard being the best player for the occasion. He’s started the season in tremendous form, with 2 goals and 2 assists in just 4 appearances. Undoubtedly the star of the show at Stamford Bridge, he seems like a certain starter. On the other side, Pedro seems like a natural choice. Like Hazard, he’s been in a rich vein of form this season, having bagged 3 goals already so far this season. He impressed from the bench and scored in Chelsea’s last fixture, and so on that basis, he deserves to start. Alvaro Morata has only scored one goal so far this season, but hee’s generally looked good. He’s been brilliant at holding up the ball, his link-up play has been solid, whilst his goal against Arsenal was one of his best yet in a Chelsea shirt. The Spaniard needs to get back scoring, but he’s undoubtedly deserving of being Maurizio Sarri’s first choice. However, Sarri does have other options. Willian could come in, or perhaps even young Callum Hudson-Odoi deserves a chance. Not to mention, the debate between Olivier Giroud and Alvaro Morata will rage on. But who should Sarri pick? Vote below and let us know!